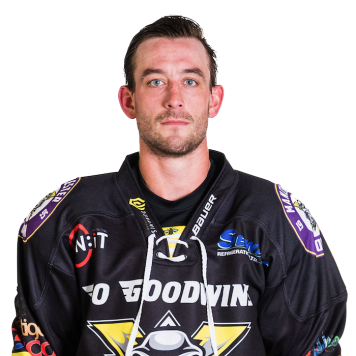 Shane Bakker returns to Manchester for a 2nd season. He joined us after 4 seasons in the ECHL, 3 for the Wheeling Nailers and 1 with the Atlanta Gladiators. During that time he also spent 3 loan spells in the American Hockey League. He will wear an “A” for the Storm this season. A native of Ottawa, Ontario, Bakker stands out for his size and ability to mix it up on the ice. The majority of his junior hockey career was spent at the Orleans Blues before going on to graduate from Carleton University in his hometown, where he played for the Ravens for 5 seasons.